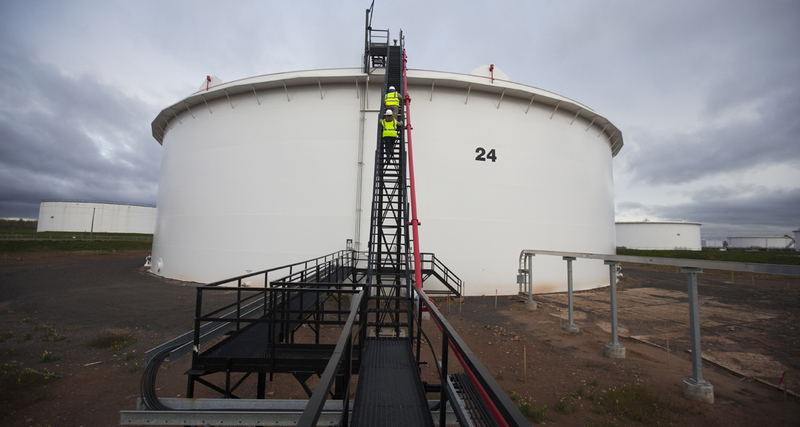 Wisconsin becomes "Path of Least Resistance"
Enbridge's Craig Noble is shown atop of 50-foot-tall oil tank filled to about half its 217,000 barrel capacity at the pipeline terminal in Superior, Wis. The terminal has 45 tanks and is located about a mile from the shores of Lake Superior. 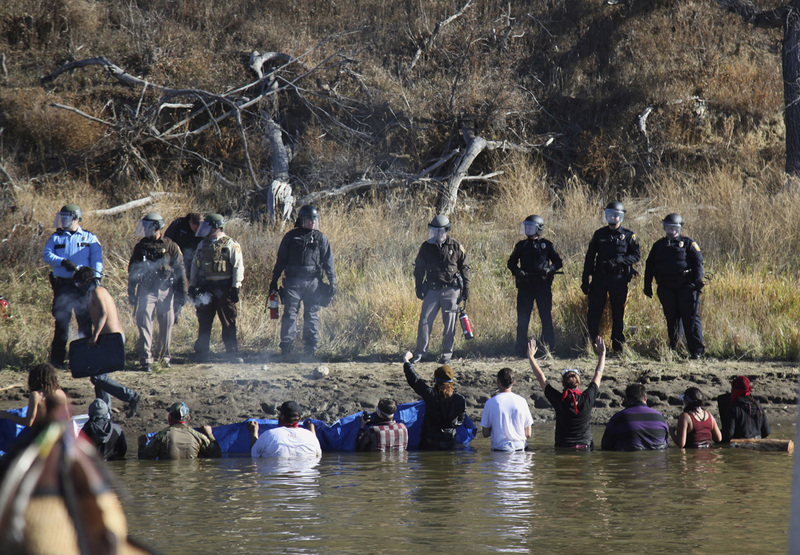 Cannon Ball, N.D. – A whiff of violence lingered in the campfire smoke at the Dakota Access Pipeline protest camp along the Missouri River last fall, where hundreds of protesters put their bodies on the line to stop the $3.7 billion project. Some were Native Americans worried about the risk the oil line poses to the river — drinking water source for the nearby Standing Rock Sioux Reservation. Some were environmental activists worried that the line would add to atmospheric carbon levels and climate change by whisking 470,000 barrels per day of the North Dakota shale oil to market, both in the U.S. and abroad. A few were from the Hollywood tribe, using their fame to draw attention to both global warming and centuries of injustices suffered by Native Americans. All of them went about their days under the thwack-thwack of a surveillance helicopter — the eyes for the hundreds of law enforcement officers decked out in riot gear on the far side of a razor-wire barricade about a mile up the road. 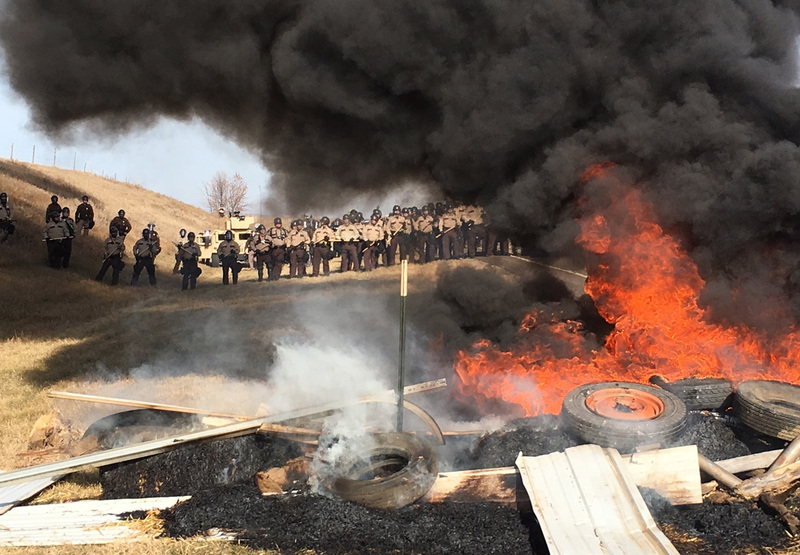 Protesters demonstrating against the expansion of the Dakota Access Pipeline wade in cold creek waters (left) and tires burn (right) as armed soldiers and law enforcement officers stand in formation to force protesters off private land where they had camped to block construction. The protesters won that battle; the Dakota line was put on hold by the administration of President Barack Obama. But the controversy the pipeline unleashed will not be buried anytime soon. The work on the 1,200-mile steel tube is all but complete; the big question remaining is how to finish it in a manner that will respect the tribe’s concerns over potential spills into the Missouri River and the destruction of nearby areas it considers sacred. The conflict is, in fact, only the latest chapter in the increasingly contentious saga over how — and whether — to bring North America’s unconventional oil reserves to market. An earlier chapter ended in late 2015 after scientists, protesters and politicians persuaded Obama to reject the proposed Keystone XL pipeline that would have carried Alberta tar sands oil toward the Gulf of Mexico. But there is another act in this drama that has, so far, drawn relatively scant attention. It is one in which a pipeline route carved more than 60 years ago has continually — and quietly — grown in capacity to the point that today the pipes are bursting with oil, sometimes literally so. As pipeline protests have raged out West for the last decade, ever-growing volumes of North American oil have been discreetly flowing through the far more populous Great Lakes region, under its forests, rivers, ponds, wetlands, cities and towns and even, in one extreme case, across the bottom of the Great Lakes themselves. This is the story of what could be called the Great Lakes XXL — a swelling, invisible river of oil flowing through the world’s largest freshwater system at a time when other regions on the continent are rejecting the risk of new pipelines. It was an unusually balmy day in November 2015 when Obama took the podium in the West Wing’s Roosevelt Room to announce he had decided to kill plans for Keystone XL. Supporters viewed the project as a job generator and a key to a more secure energy future for the United States. Opponents criticized it as a ploy by Canadian oil interests — stymied in efforts to build new pipelines to ports in British Columbia — to get their gritty crude to the Gulf of Mexico for refining and export around the world. This would fuel competitive development overseas, they said, and further exacerbate global warming. One prominent environmental scientist stated it would be “game over” for limiting climate change if the United States and Canada proceeded down the path of further exploiting the vast Alberta tar sands and other unconventional oil reserves, including Bakken shale oil from North Dakota. 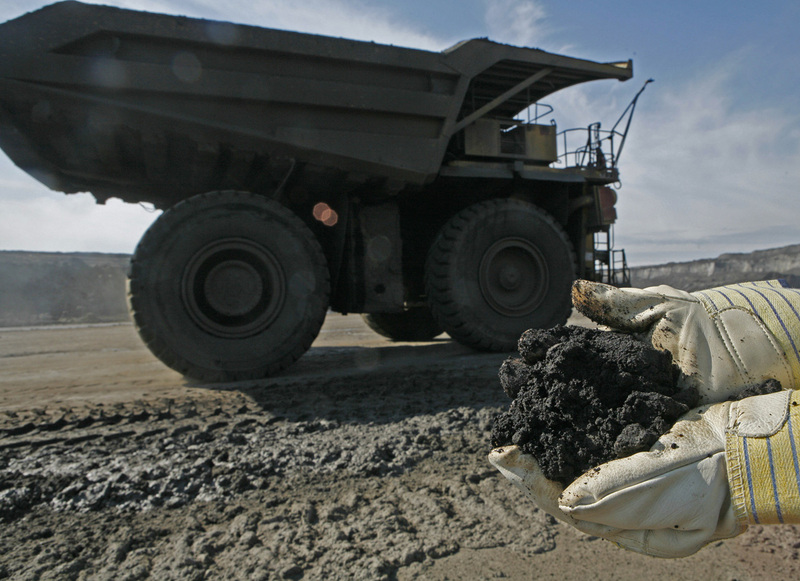 A mine worker holds a handful of tar sands oil in 2006 at a mine located 35 miles north of Fort McMurray, Alberta. It takes about two tons of this stuff to produce one barrel of oil. After the federal government spent the better part of a decade reviewing the Keystone XL proposal, Obama concluded it was more trouble than it was worth. He said his decision was based on the argument that tar sands oil is a particularly dangerous commodity for the climate because of the amount of energy needed to extract and refine it. And if the U.S. government approved the project, it would diminish its ability to lean on other countries to limit their own carbon emissions. The move riled pipeline supporters — U.S. House Speaker Paul Ryan (R-Wis.) called it a “sickening” decision that would cost tens of thousands of jobs — as much as it buoyed conservationists, and not just because of the global warming implications. They also opposed Keystone XL because if the pipeline leaked — and history shows most pipes eventually do leak — it threatened to pollute the Great Plains and pockets of the Ogallala aquifer that lie below. Yet amid all the dejection and elation on the day Keystone XL was denied, one law of physics seemed to have been forgotten. Like water, tar sands crude flows down the path of least resistance. And for the last two decades that path has increasingly run straight toward the Great Lakes — and through the hearts of Wisconsin and Michigan. Montana, South Dakota and Nebraska — total population of less than 4 million — were spared exposure to Keystone XL’s 830,000 barrels per day. Same with the Ogallala aquifer, a rapidly depleting underground freshwater reserve somewhat insulated from surface pollution by cake-like layers of clay, sand, rock, silt and gravel. Yet pipes capable of carrying roughly three times the volume of oil proposed for TransCanada’s Keystone XL already run down a rival company’s pipeline from Alberta into Wisconsin. And much more oil could be on the way — both from Canada and, perhaps, from the Bakken fields of North Dakota. This Enbridge pipeline starts in the Albert Tar Sands (left) and ends at a holding tank farm in Superior, Wis. (right). There is nothing on the continent like this ever-expanding pipeline network, owned by Canada’s Enbridge Inc. and its subsidiaries, and not just because it runs to the shores of the Great Lakes, a drinking water source for some 40 million people. In fact, the system’s current capacity is equal to roughly 20% of the nation’s total oil imports. 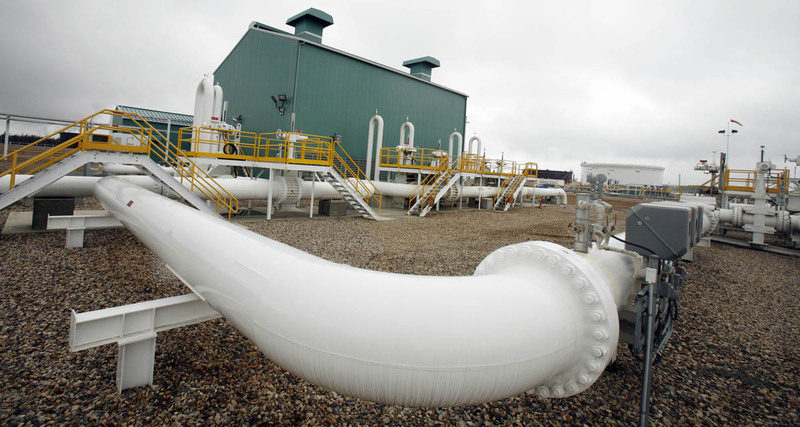 Enbridge also has plans for a new thousand-mile pipeline from Alberta to Superior that would add another 370,000 barrels per day to that flow, bringing the capacity for some 3 million barrels of oil to flow into Wisconsin each day. That is more than all the oil the United States imports on an average daily basis from Saudi Arabia, Venezuela and Mexico — combined. It is more oil than is consumed daily by Germany, Europe’s economic engine and fourth largest economy in the world. If it sounds surprising that Wisconsin has become such a player in the booming unconventional oil economy, it’s because the state isn’t actually much of a player economically. Most of the oil simply flows through on its way to far-flung refineries. Calumet Superior Refining, Wisconsin’s only refinery, merely sips from the Enbridge stream. It has a processing capacity of about 45,000 barrels per day — less than 2% of the pipeline system’s capacity. 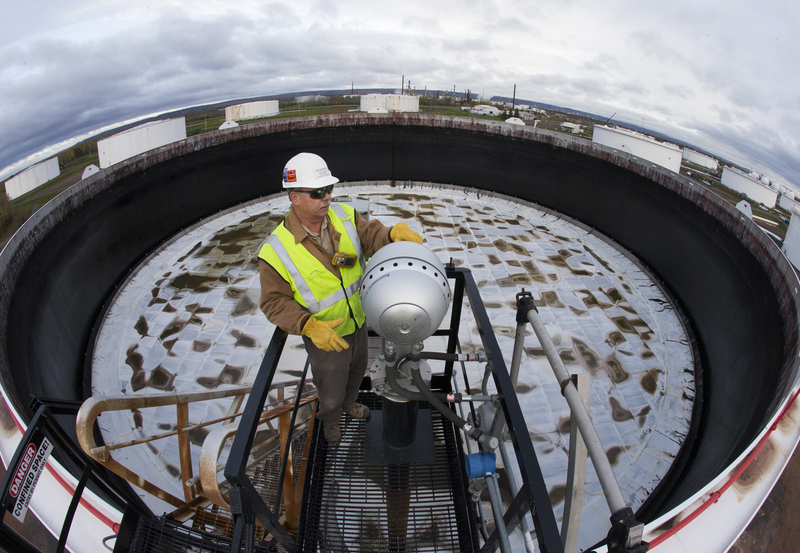 The oil that doesn’t get refined in Superior moves on, with much of it first going to dozens of huge holding tanks at Enbridge’s Superior facility, a few hundred feet from the Nemadji River that flows into nearby Lake Superior. These tanks can collectively hold about 13 million barrels of oil, enough to supply more than 60% of the daily U.S. oil diet. The oil is cycled through these tanks into an underground tangle of pipes and pumped to out-of-state refineries. It rumbles around the clock and around the calendar along a vast, invisible infrastructure as essential as the power lines, water mains, sewers, cell towers and ribbons of concrete that make modern life possible. More than 500,000 barrels a day can flow in a pipe that runs across Michigan’s Upper Peninsula. It briefly splits into two pipelines lying exposed on the bottom of the Straits of Mackinac that divide Lakes Michigan and Huron. On the other side of the Straits, the pipes merge back into a single tube for a final run across Michigan’s Lower Peninsula to the Ontario refinery city of Sarnia, northeast of Detroit. Most of the oil leaving Superior runs in three pipelines down the middle of Wisconsin along an 80-foot-wide corridor stretching to the Illinois border. Much of it then flows to regional refineries to be turned into gasoline, diesel and other petroleum products. Some of it moves easterly across Indiana and lower Michigan, headed for Sarnia and beyond. Oil now also flows in an Enbridge pipe east from Sarnia to Montreal, where it can be pumped onto tankers and shipped around the globe. This was a primary criticism of the Keystone XL — that the U.S. would be used as a conduit for Canadian tar sands oil to flow to competing markets overseas. In the critics’ view, the U.S. increasingly assumes much of the risk of oil transport, including spills, while getting little economic reward as the fuel makes it way toward rival economies before being burned off and unleashing its carbon into the atmosphere. The same concern now exists with North Dakota shale oil because the U.S. recently lifted a 40-year ban on exporting most domestically produced oil. The result: Last April, the first shipment of North Dakota crude left a Louisiana port for a refinery in the Netherlands. More than $200 billion was invested 1999 to 2013 developing the Alberta tar sands, which hold an estimated 170 billion barrels of recoverable oil — the third largest reserve on the planet, behind Saudi Arabia and Venezuela. The amount of oil in the Alberta ground is actually far greater than that. At this point it doesn’t make economic sense to mine those harder-to-get deposits. But the volume of recoverable tar sands oil in the province is only likely to grow. It was only relatively recently that much of the tar sands oil, called bitumen, became economically practical to recover at all. In the 1950s, Canadians pondered underground nuclear explosions to melt the bitumen out of the oil sands. The idea went nowhere but technologies deployed in the last two decades to strip-mine the oil or use injected steam to essentially accomplish the same thing as a nuclear explosion have made oil sands extraction much more economically viable. Tar sands production averages about 2.5 million barrels per day, and is expected by some to approach 4 million barrels per day within a decade. Advances in different techniques to harvest Bakken shale oil from North Dakota over the last 15 years, meanwhile, have opened up that previously untapped unconventional oil reserve, further putting pressure on oil carriers to get that fuel to refineries. With oil prices dropping below $30 per barrel last year from more than $150 per barrel within the last decade, some wonder if there is a future for all this expensive-to-extract oil. There likely is, even if tar sands oil is sold for periods at prices well below its break-even point. The reason is that the lifespan of a tar sands extraction operation isn’t measured in years, but in decades because of the costs involved in developing one. This is why, even in a depressed oil market, billions of dollars can still be invested in new tar sands projects. Thanks to new fracking extraction techniques, production of North Dakota shale oil grew from less than 100,000 barrels in 2005 to more than 1 million barrels per day by 2015, even though U.S. oil consumption dropped in the same time period by about 1 million barrels per day, thanks to fuel-efficient cars and other conservation moves. Alberta tar sands production is also booming and is now in the neighborhood of 2.5 million barrels per day. At the same time, oil prices have plummeted in recent years from over $100 per barrel to less than $30, though the price has been on an uptick lately and now sits around $50 per barrel. Both Canadian and North Dakota leaders see the economic potential to sell more oil overseas. “Lifting the ban on crude exports will create jobs, grow our economy and keep the price of gasoline lower at the pump for consumers,” U.S. Sen. John Hoeven of North Dakota, a member of the Senate Energy Committee, said when the first barrels of shale oil left for Europe. Enbridge had pursued its own new line from North Dakota to Wisconsin, but last year put those plans on hold after it announced its intentions to invest in the recently halted Dakota Access line owned by Texas-based Energy Transfer Partners. But Enbridge has said it may revive plans for the North Dakota-Wisconsin pipeline if the market demands. In the meantime, the company has other plans for Wisconsin. As it prepares for a new line from Alberta to Superior, the company is also mulling plans for a new line from Superior, through Wisconsin, to the Illinois border. That pipe alone could be built to carry more than double the amount planned for the Dakota Access line. And it could one day mean the Enbridge system would be capable of carrying some 3 million barrels per day of oil through the middle of Wisconsin. How could all this oil flow through such a water-blessed and populated part of the country with little debate or protest when there has been so much rancor over the smaller and more remote Keystone XL and Dakota lines? Mostly because Enbridge has had pipelines in Wisconsin for so long that their existence predates today’s concerns about climate change and other environmental problems related to the transport of oil. The company also has a history of building its pipeline network in a piecemeal fashion that makes it difficult for outsiders to see the big picture. When Enbridge’s newest pipeline running through Wisconsin opened in 2009, the Wisconsin Department of Natural Resources evaluated it as a line that would carry 400,000 barrels per day. That number grew to 560,000 barrels per day by 2014. It will soon be carrying 1.2 million barrels per day. When Enbridge’s newest pipeline running from western Canada to Wisconsin also opened in 2009, it had a permitted capacity of 500,000 barrels per day. In 2014, the volume was bumped to 570,000 barrels per day. The next year the volume jumped to 800,000 barrels per day, though the company has yet to secure required U.S. presidential approval to carry the additional volume across the U.S.-Canadian border. Enbridge has avoided that regulatory hurdle by pulling oil out of the pipe where it actually crosses the border and channeling it into an adjacent line that has extra capacity in its permit. Environmentalists have sued the U.S. State Department for allowing what they call an illegal “switcheroo,” but the oil continues to flow. When Enbridge’s first line through Wisconsin, Line 6A, opened in 1968, it had a capacity of roughly 300,000 barrels. Today it has a capacity of nearly 700,000 barrels. The line itself never got larger. 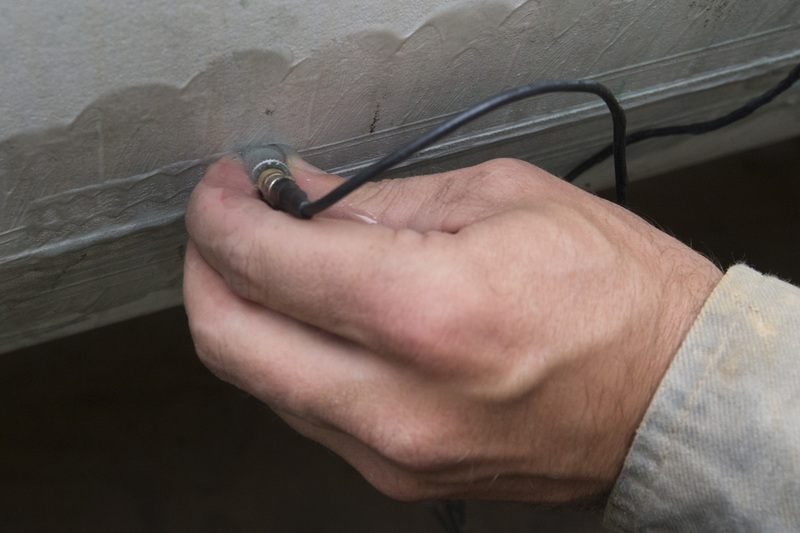 The volume boost was achieved largely by cranking up pressure on a steel tube that is today nearly 50 years old. Line 6B, a sister pipeline to 6A, burst in Michigan in 2010 and spilled more than 1 million gallons of tar sands crude. It was the largest on-land oil spill in U.S. history. Enbridge later decided that the existing line, which also began operating in 1968, was too deteriorated to salvage. So it shut it down and opened a new version of the line in 2014. This replacement actually doubled the old line’s operating capacity at the time of the spill to 500,000 barrels per day. “It’s really deceiving to call that a replacement,” said Doug Hayes, staff attorney for the Sierra Club Environmental Law Program. But he said the Enbridge strategy has worked, both in clearing regulatory hurdles and avoiding North Dakota-style public protests. Workers perform maintenance on Enbridge's Line 6A in a 14-foot deep trench at a pumping station near Owen, Wis. 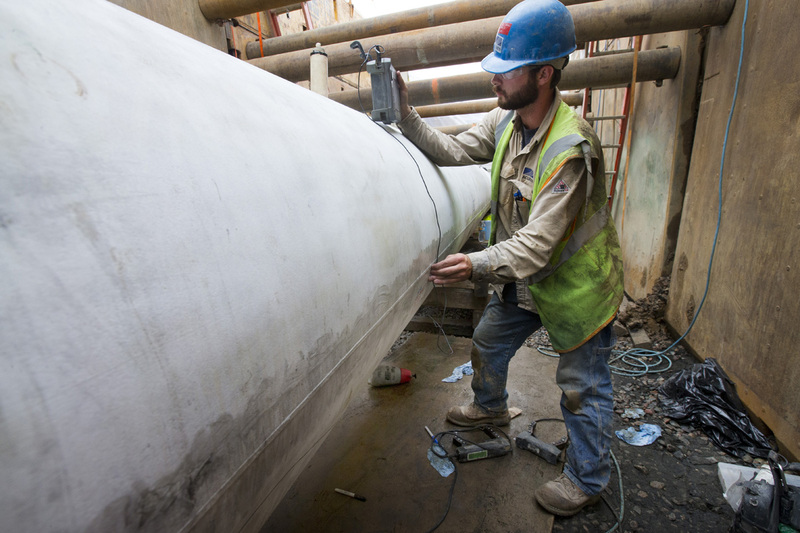 The maintenance involves ultrasound to check for cracks and corrosion. Defects can be usually be repaired without shutting the line down. The 34-inch line was laid in 1968. The Enbridge pipeline route that runs the length of Wisconsin was carved during the Lyndon B. Johnson administration. It cuts through more than a dozen counties and runs under hundreds of rivers, streams and wetlands. It burrows beneath the Namekagon, Thornapple, Black, Fox, Jump, Rock, St. Croix and Wisconsin rivers. It thrums below the fairways of the Nemadji Golf Course in Douglas County and the Glacial Drumlin State Trail in Jefferson County. It rumbles under the cleats of Owen-Withee High School Warhorses football players on their practice field. And it rushes under Mark A. Borchardt’s property outside Marshfield, where on a steamy afternoon in August, birds chirped, bees buzzed and butterflies flitted. You couldn’t hear the underground whoosh, but below lay a cluster of pipes that can collectively carry some 2 million barrels of oil and related products per day. The Suez Canal, linking the Arabian and Mediterranean seas, is one of the world’s busiest oil routes. Vessels carry about 3 million barrels per day along it. So, like anyone else who owns property along the Enbridge easement running through Wisconsin, the volume of oil running under Borchardt’s crushed red gravel driveway means he theoretically lives on top of one of the most strategic oil chokepoints on the globe. There have been no protests here as the oil flows have steadily increased in recent years, no surveillance helicopters and no guard stations. The only sign of just how important his property is, in terms of getting oil to market, are several plastic orange-capped posts at the edge of his driveway. 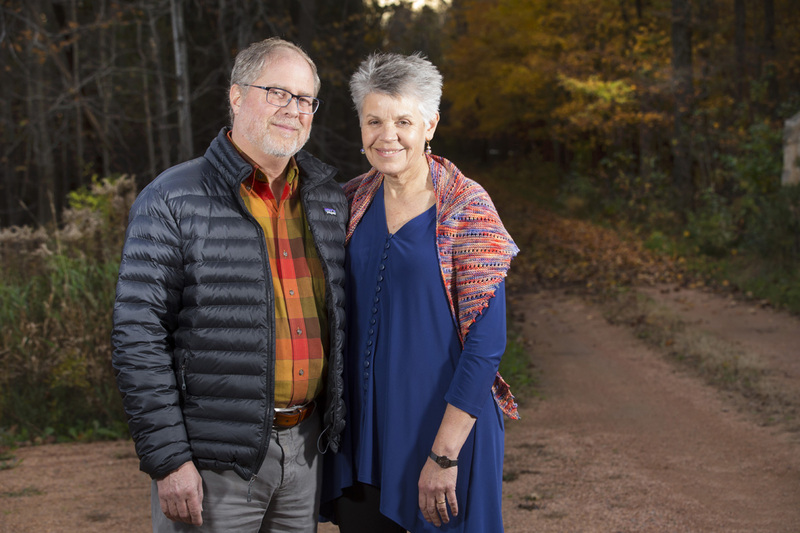 Pipes capable of carrying about 2 million barrels per day of oil and related products lie beneath the driveway leading to the home of Mark Borchhardt and his wife, Gwen Stone, in central Wisconsin. 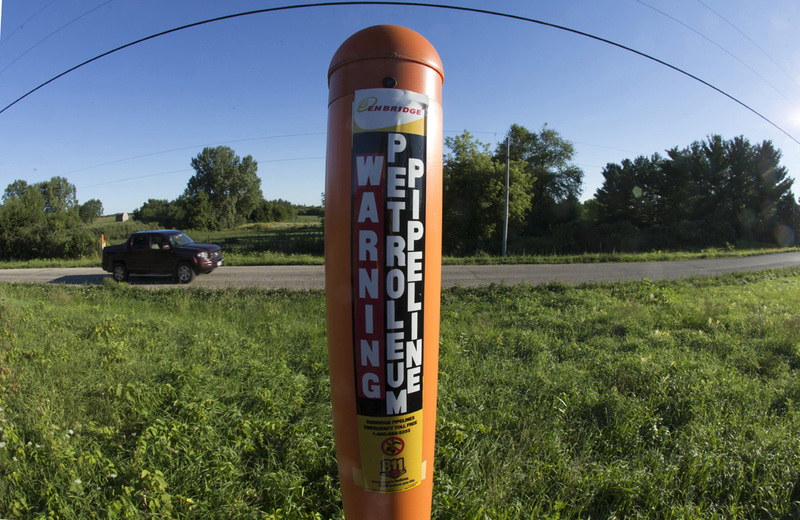 The four pipelines owned by Enbridge cut across Wisconsin in an 80-foot-wide easement from Superior to the Illinois border. 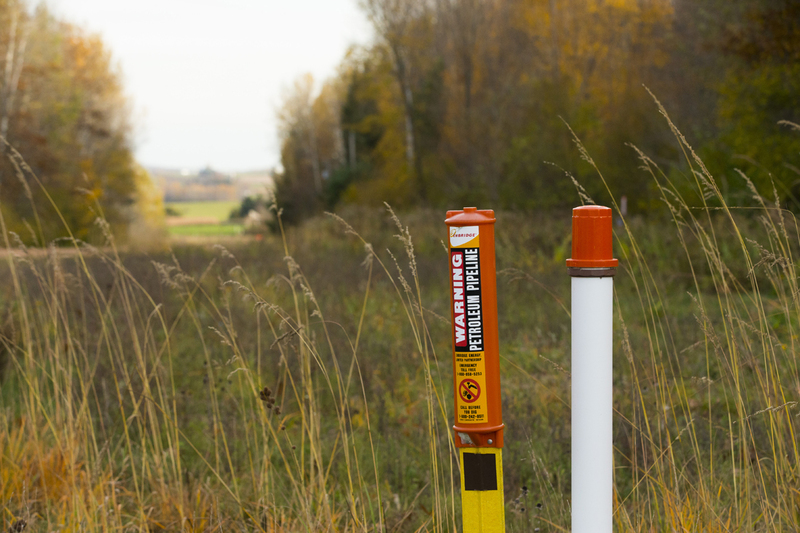 These markers can be found all along the 80-foot-wide Enbridge easement through the state. They warn would-be diggers not to dig. They tell anyone who spots a leak to call a 715 Enbridge telephone number. The Wisconsin DNR issued a report in early 2016 that revealed Enbridge had 85 spills in Wisconsin in the previous decade. Most were rated as “very small to small” — classified as less than 2,100 gallons. Six were classified as “substantive,” up to 21,000 gallons. Five were categorized as “large” — up to 210,000 gallons. Continent-wide, Enbridge reported a stellar accident record in 2015, delivering 2.8 billion barrels of oil and spilling a scant 15 barrels along its pipeline right-of-way or private properties. But over the prior decade, the company averaged more than 70 spills per year. Some were barely drips. Others were huge, involving tens of thousand of gallons. None was as bad as a 2010 spill in Michigan. It happened on the now-infamous Line 6B. In 2005, Enbridge identified six “crack-like” defects in Line 6B, which runs from the Chicago area south of Lake Michigan and then eastward across Michigan’s Lower Peninsula to Sarnia. The cracks in 6B, which ranged in length from 9 inches to more than four feet, were left unrepaired. Then on July 25, 2010, alarms went off at Enbridge’s headquarters in Edmonton, Alberta, signaling something was amiss near Kalamazoo. Enbridge employees at the controls figured whatever was wrong 1,800 miles away could be remedied by pumping more heavy crude into the line. They tried this twice for a total of about 90 minutes. A July 2010 break on an Enbridge pipe in Michigan unleashed more than 1 million gallons of oil into a stream that feeds the Kalamazoo River. More than 35 miles of river were contaminated. Cleanup took years and cost more than $1 billion. The pipe has since been rebuilt at a larger capacity. U.S. regulators later determined this was how 683,000 of the more than 1 million gallons of heavy tar sands crude were spilled. For more than 17 hours, Enbridge employees failed to understand the alarm system was working, and it was they who had become the problem. The ensuing $1.2 billion cleanup along 35 miles of the Kalamazoo River, a tributary to Lake Michigan, eventually drew about 2,000 workers. The spill also cost the company another $177 million in a settlement it reached with the U.S. Environmental Protection Agency last summer. The river has been declared restored, though traces of the tar-like crude still linger on the riverbed. So does a regional bitterness toward Enbridge, which the National Transportation Safety Board accused of suffering from a corporate “culture of deviance” that contributed to the disaster. The transportation board chairman compared Enbridge employee actions in the first hours of the spill to the bungling “Keystone Kops” of the silent movie era. 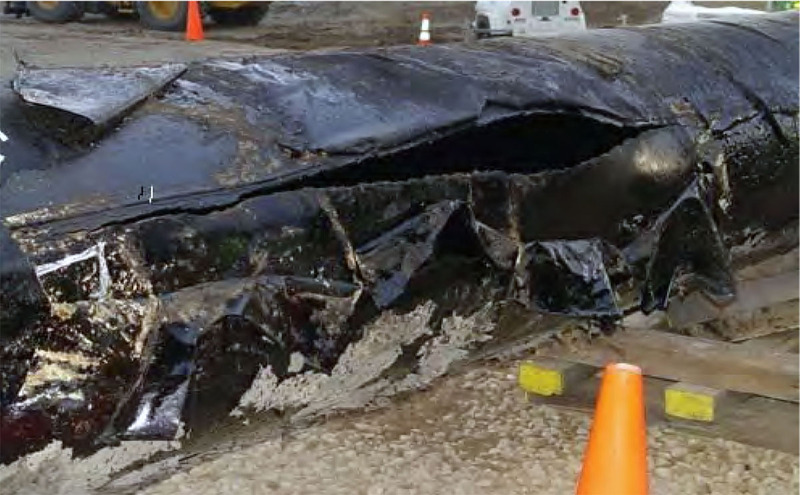 Enbridge bosses say they now take spills as seriously as airlines take crashes. “We are adopting the mindset of industries such as aerospace, airlines, nuclear and chemical processing, in which there is a refusal to accept that any incident is inevitable or acceptable,” Enbridge executives wrote in a Corporate Social Responsibility Report in the wake of the Kalamazoo spill. Despite the Kalamazoo debacle, Enbridge maintains its historical safety record is above pipeline industry standards and boasted in its 2015 corporate performance report that over the previous 10 years the company had safely delivered 99.9995% of its products on its North American pipelines. But this is not soap purity they are marketing, and there is another way to look at that number: During those 10 years, Enbridge spilled more than 3.5 million gallons of crude oil and other liquid industrial products. Few doubt that Enbridge has upped its safety efforts since the 2010 disaster. But Ed Timm, a retired senior engineer and oil refinery expert who has become an outspoken critic of Enbridge’s Mackinac Straits pipeline, has one question about whether the Kalamazoo spill truly changed company culture: Did anybody lose their job? The paycheck of Enbridge’s CEO did not suffer the year of the spill. The board of directors gave Patrick Daniel a $2 million raise, boosting his compensation from $6 million to over $8 million. Enbridge does not own most of the property along its pipeline route through Wisconsin. Decades ago, its corporate predecessor acquired easements from private property owners along the route. The easements, which remain attached to titles as land changes hands, entitle Enbridge to use these properties to lay and maintain its pipelines — and to add additional lines. In Borchardt’s case, a previous property owner sold the easement for about $2,500 in the mid 1960s, he said. When Borchardt and his wife bought their log cabin home on 10 acres outside Marshfield in 1994, and moved in with their young boys, only a single pipe existed in the easement that crosses his driveway. He knew it was there, but said he didn’t give the pipe any more thought than he might to the sewer line running under his road. A truck on State Line Road passes by a marker for a petroleum pipeline in Walworth County on the Wisconsin-Illinois border. Enbridge has four pipelines carrying petroleum products across the length of Wisconsin from Superior to the Illinois border. “It was just a little pipeline,” he said. Borchardt became more aware of the easement when construction crews arrived in the late 1990s to add a parallel pipeline, 24 inches in diameter, that can carry more than 300,000 barrels of crude per day. Less than a decade after this pipeline was completed, crews came back with plans for a 42-inch pipe that dwarfed the collective capacity of the two existing lines. This line was primarily built to carry Canadian tar sands oil, called bitumen, a heavy crude so dense it sits in the ground hard as a hockey puck. To make the oil liquid enough to flow in a pipe, chemicals must be added. Those chemicals, called diluent, are then pulled from the 42-inch pipeline at its end point in Illinois and sent back north in the smaller pipe so they can be reused. This meant that the 42-inch pipeline project was actually a two-pipeline project — the big pipe to get oil to refineries, and a smaller pipe running parallel but flowing in the opposite direction. Retired physician Bill Manor has no pipes within the sliver of easement that runs across his property outside Marshfield, but Enbridge considered his land crucial to the construction project so it could get crews and equipment to the pipeline route on a neighbor’s property. Manor remembers being asked by a man representing the construction company to sign an agreement granting that access. Knowing that some of his neighbors opposed the additional lines, he declined. Then, he said, he got a letter threatening a lawsuit. Eventually, once the neighbors’ concerns were addressed, Manor said he agreed to let the crews use his land, with some resentment for what he saw as heavy-handed dealing. Feelings in the neighborhood only further soured — and spread throughout Wisconsin — as pipeline construction progressed in 2007 and 2008. State regulators determined in their pre-construction environmental review that the project would have “no significant impact” on the environment, though the pipes would cross under more than 200 rivers and streambeds, burrow beneath hundreds of wetlands and slash through 115 miles of forest, requiring the clear cut of nearly 2,000 acres. Regulators had a starkly different assessment after the work was done. Pipeline crews were cited for more than 100 environmental violations after tearing up wetlands and streams and defiling other sensitive areas, including rupturing an existing pipe that spilled 200,000 gallons of crude in Rusk County. The DNR turned its case of construction violations over to the state Department of Justice, which fined the company $1.1 million for the sloppy work. 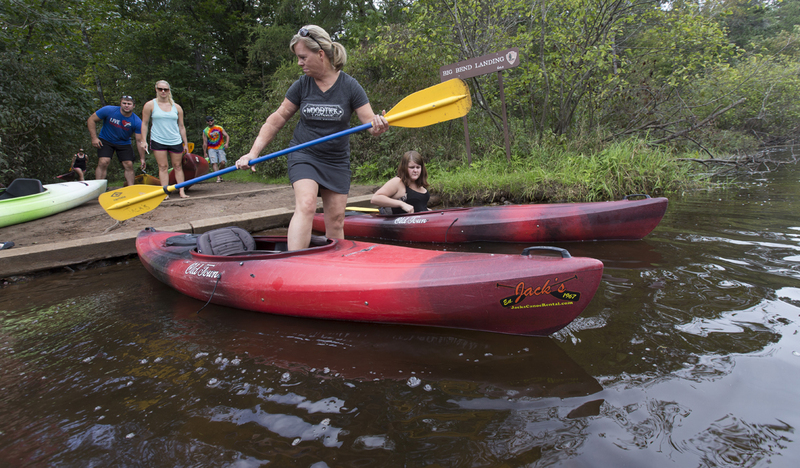 Kayakers prepare for a trip downstream on the Namekagon River between Hayward and Trego, Wis. The Enbridge pipeline system runs underneath this river which is part of the St. Croix National Scenic Riverway, along with hundreds of other rivers, streams and wetlands in Wisconsin. It was a huge fine in the annals of Wisconsin’s environmental enforcement, but not a lot of money for Enbridge. Even at oil’s currently depressed prices, the new line is being upgraded to carry $60 million worth of oil — per day. After all the dust settled and mud congealed following the pipeline’s initial construction, Borchardt replanted the land astride his driveway with native grasses and flowers. His refurbished prairie — that had been a trench worthy of World War I’s Western Front — eventually greened up and was thriving again. Then another survey crew knocked on his door. The days of Enbridge expanding its oil pipeline capacity through Wisconsin with relatively little controversy could be coming to an end. When the company built its newest pipeline, the DNR reported that it would have a capacity of “approximately” 400,000 barrels per day. And when it opened in 2009, it did. Then in 2015, Enbridge doubled the line’s capacity to 800,000 barrels and now, with additional pump station power coming online in the next few months, Enbridge will be able to push 1.2 million barrels per day through the pipe. Pipelines are primarily regulated by the federal Pipeline and Hazardous Materials Safety Administration. 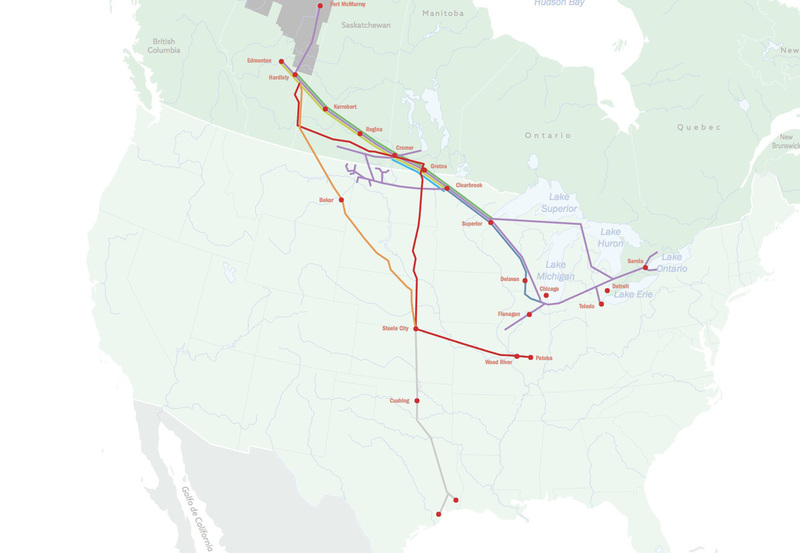 Adding all this capacity did not require a presidential permit, as did the similarly sized Keystone XL, because this Enbridge pipe does not cross the U.S.-Canadian border. Enbridge also had little problem passing Wisconsin state regulatory hurdles, which focus on how the pipeline construction could harm waters and wildlife habitat. Yet the expansion has recently drawn controversy in Dane County, where local leaders are wary of a spill similar to the 2010 Kalamazoo disaster. As part of its permit to allow Enbridge to build a pump station to expand the line’s capacity, the Dane County Zoning and Land Regulation Committee required the company to acquire a $25 million insurance policy to specifically cover spill cleanups. Republican leaders in the Assembly and Senate did not respond to requests for comment. The Great Lakes hold 20 percent of the world’s freshwater, and they provide food, work, and weekend fun for tens of millions of Americans. Yet they are under threat as never before. In a work of narrative reporting in the vein of Rachel Carson and Elizabeth Kolbert, prize-winning reporter Dan Egan delivers an eye-opening portrait of our nation’s greatest natural resource as it faces ecological calamity. 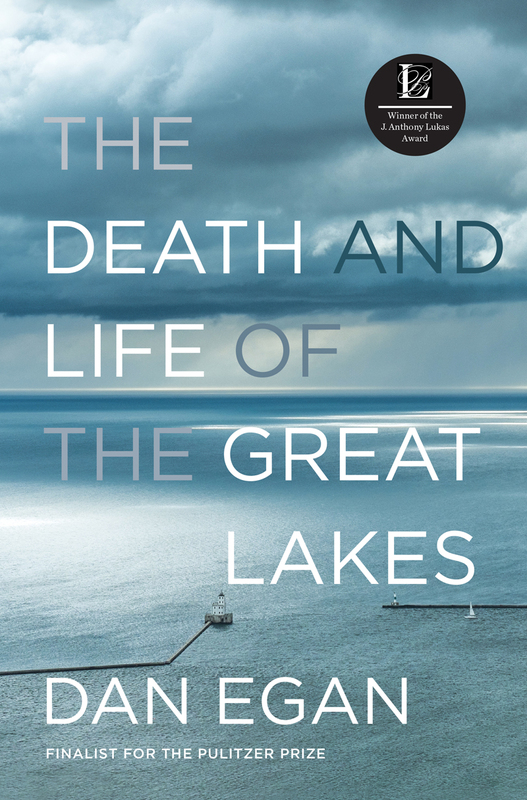 He tells the story of the St. Lawrence Seaway and the Chicago ship canal—good ideas in their time that have had horrendous consequences. He explains how invasive species such as Asian carp, sea lamprey, and zebra mussels have decimated native species and endanger the entire United States. And he examines new risks, such as unsafe drinking water, the threat of water diversions, and “dead zones” that cover hundreds of square miles of water—while showing how the Agreat Lakes can be restored and preserved for generations to come. Enbridge has argued it has an approximately $900 million liability policy that provides adequate insurance. Dane County’s concern was that this type of insurance coverage might not necessarily cover accidental spills. Enbridge did not have insurance to completely cover the Kalamazoo disaster, and also ended up in a protracted fight with an insurer over whether its policy covered the spill. But in the end, the company used a combination of insurance money and its own cash to pay for the $1.2 billion cleanup. “In the event of a release we are committed to doing what’s right: We’ll respond. We’ll clean up. We’ll bear all the costs,” Mark Maki, president of Enbridge Energy Partners, wrote in a 2015 opinion column published in the Milwaukee Journal Sentinel. Stripping Dane County’s ability to require additional insurance was not the only favor the Legislature did for Enbridge. In 2014, another Enbridge-hired work crew arrived at the door of Borchardt’s Marshfield home and informed him they needed to take a new survey of his 10-acre property. The reason, he was told, is that Enbridge is considering adding a new Wisconsin oil pipeline. Enbridge has acknowledged in corporate documents that it is eyeing a twin to the existing 42-inch line. The company isn’t talking about how much oil it would send down that line. If it is indeed a twin, its sibling soon will be capable of carrying 1.2 million barrels per day. To build that pipe, Enbridge would need to expand the width of its easement that runs the length of Wisconsin. Meneghini said any new pipeline plans are speculative at this point and that the company has no contract with oil producers to carry additional crude. Yet to prepare the way, Enbridge successfully lobbied the Wisconsin Legislature in 2015 to adjust a state law so private land along the easement can be more easily condemned, a move that could open the door to expanding the easement’s width through the state — with or without adjacent property owners’ consent. Borchardt said the 2014 survey crew was coy about how much additional land the company was eyeing, but the swath they surveyed ran more than 100 feet from the edge of the existing easement to within several feet of his doorstep. Borchardt said he had no sound legal argument against the previous pipeline construction projects; he knew the terms of the easement that came with the purchase of his land. This, he said, is different. This time he has no plans to let Enbridge expand in a manner he fears could level his chicken coop, destroy his orchard and perhaps force him from his home — at least not without a fight. When he called the offices of the Public Service Commission to express his concerns about the easement expansion, he said, a staffer informed him he has an obligation to accommodate a new line because it carries a product so important to so many. He felt that he was accused of having a selfish not-in-my-backyard mentality to resist further construction of essential infrastructure. Become a Milwaukee Journal Sentinel subscriber today to support stories like this one. Get unlimited digital access to our signature journalism for just 99 cents per week for the first 6 months. “You can’t call me a NIMBY,” Borchardt said, noting the volume of oil already crossing his property. Borchardt has helped organize an “80 Feet Is Enough” property owners group to try to block any expansion, or at least put landowners in a better position to bargain if they are forced to sell easements — and perhaps their homes — to Enbridge. Enbridge has its own public relations efforts underway in Wisconsin to demonstrate its good corporate citizenship. By the time surveys for the additional easement wrapped up in 2015, the company that year had donated several pickup trucks to fire departments in communities along the easement route. The company spent nearly $300,000 on its community investment program for that year. Enbridge also has been out and about touting its economic impact on the state, in which it pays over $28 million in property taxes. The company reported a full-time and temporary workforce in Wisconsin of 430 employees in 2015, with a payroll of just over $27 million. Those numbers do little to assuage retired physician Manor, who had been threatened with a lawsuit over his refusal to let Enbridge work crews on his property. He sees getting Canada’s dirty and hard-to-process oil to market as a Canadian problem. Not everyone along the pipeline easement in Wisconsin views Enbridge as a bad neighbor, or the pipelines as a negative. Standing on the bleachers on a Tuesday afternoon in October, watching his high school football team practice on a field above Enbridge’s oil lines, Owen-Withee school district administrator Bob Houts said Enbridge has been an excellent partner. He joked that if the new pipeline and easement expansion goes through, his district might be able to afford a new playing surface for its football field. He said he never thinks about all the oil already coursing under district property. The Owen-Withee Blackhawks prepare for their final regular season game last October on their practice field that sits atop the Enbridge pipeline system in central Wisconsin. Owen-Withee school district Administrator Bob Houts said the company has been an excellent partner. What frustrates Borchardt is the idea that the ever-expanding pipeline capacity, and the inherent risk it carries, is happening because of decisions being made in places as far away as Alberta and Washington, D.C.
One such upstream change could bring through Wisconsin the oil that now flows through the twin pipes on the bottom of the Straits of Mackinac — pipes that Michigan regulators, politicians and environmentalists are growing increasingly wary of allowing to operate. Those pipes happen to be among the oldest in the Enbridge network. 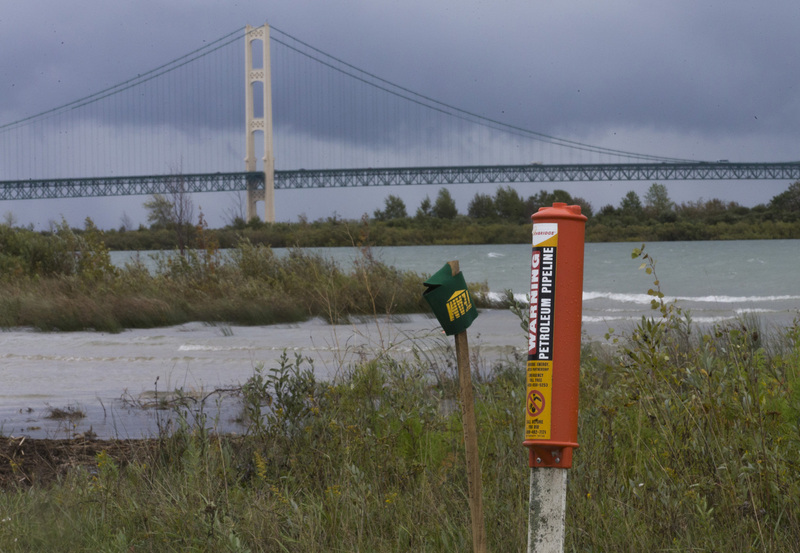 Coming Wednesday: Concerns grow about an aging pipeline crossing the Straits of Mackinac. The most likely alternative would send more oil through Wisconsin.